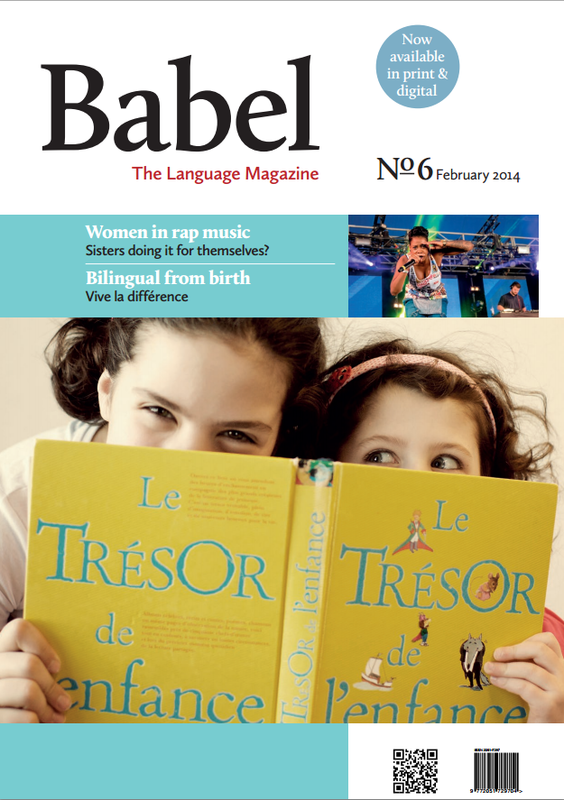 Babel Magazine Babel - Issue 6 Babel No6 (February 2014) Articles Bringing up bilingual children The advantages of growing up with more than one language Militancy or manipulation? The demonisation of trade unions in the UK press The US foreign language deficit The effect of globalisation on language competence in the US Women in rap music Do female performers have feminist intentions? Wordsmiths and warriors David Crystal on his new book for the ‘English-language tourist’ • UK Delivery including postage £7.00 • Europe Delivery including postage £10.00 • Rest of the World Delivery, including postage £12.00 Please select the number of copies required and your geographical location below to add to your shopping cart.